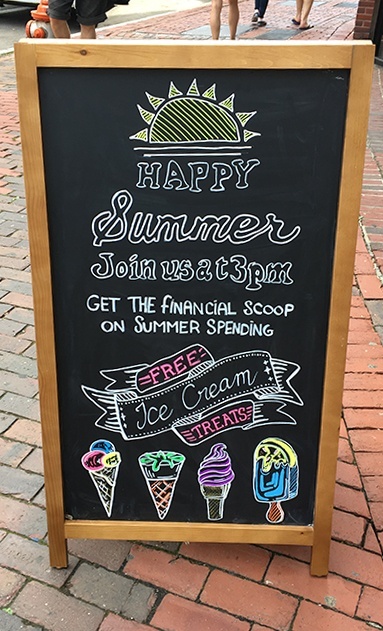 Harvard Square Branch Hosted 1st Financial Scoop! On June 21st, members visited our Harvard Square branch to chat with us about their summer expenses. 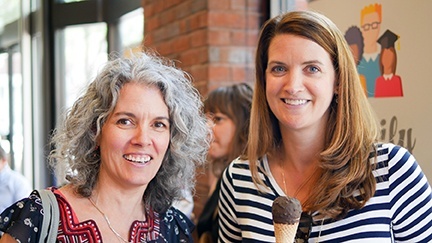 We talked money and savings, all while enjoying some delicious ice cream to celebrate the first day of summer! The two biggest summer expenses? Weddings and vacations. Perhaps you missed the ice cream, but we don’t want you to miss out on the financial tips. Perhaps through your credit card provider, employer or alma mater, you may be eligible for discounts on hotels, transportations and other common travel and wedding expenses. Has your credit score increased? You may be able to refinance current debt at a lower rate. Can you shop around for better insurance prices? Saving in one category of your budget will free up your cash flow so you may apply it to more fun things, like summer vacations and weddings. Save a little each week before the big day(s). Saving is much easier if you put a small amount aside each week versus trying to save for the expense all at once. Check out our Club Savings Account for details on how we can help you. HUECU wants to see you at our next Financial Scoop! Connect with us on Facebook or Twitter for future Financial Scoop event announcements.